This home is in Mains Farm, which is about 7 miles northwest of Sequim central. It sold for $205,000 and is a cute 3 bedroom, 2 bath 1,600 square foot home on a perfect little landscaped lot. I represented the buyers. This cute Sunland Condo is a perfect 2 bedroom Sequim home, and with a golf course neatly mowed for a back yard, it’s beautiful and peaceful. This condo sold for $142,500, and I represented the buyers. This Sunland home was remodeled and really was like a brand new home. It is a 3 bedroom, 2 bath, 1,700 square foot home, and it sold for . . . $220,000. I represented the buyers. 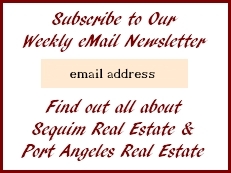 Sequim & Port Angeles R.E.